Tajudeen Disu, Managing Director of Lekki Free Zone Ltd, was killed along with other individuals, during a clash between Ibeju-Lekki villagers and mobile police officers in Okunraiye community near Ibeju-Lekki, Lagos, this morning. 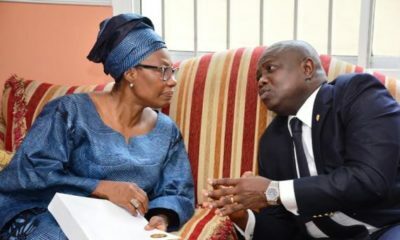 According to Sahara Reporters, the villagers said they were on a peaceful protest against forceful takeover of their land by the Lagos state government on behalf of Aliko Dangote and the Lekki Free Zone Ltd when policemen attacked them reportedly killing two of the protesters instantly. The killings spurred violent conflict. The village is reportedly being raided by Nigerian troops sent to the community as a result of the crisis. Most of the villagers have left the village as a result. 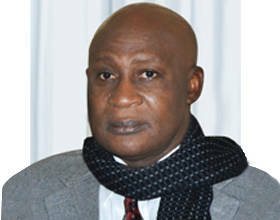 According to reports, Disu’s body has been deposited at the Lagos State University Hospital for a post-mortem. Dangote and theLSG should not force these pppl to give up their land if they dont want to. All these started during Fashola administration. The death of anyone is not worth all the money Dangote wants to make . Find other areas to set up your refinery, c’mon. You realise the Governor owns all land within the state right? They should have negotiated for better compensation rather than resorting to violence. You realise the Governor owns all land within the state right? Really? Yes that’s very true. The Land in a state is vested in the Governor of that state. S (1) Land Use Act. What a sad loss. Wow – Basically this man died for Lagos State’s success in a way. They are still babaric in Nigeria. Why did he have to die? For what? Land? That the crazy village chiefs/obas have been paid but never developed to their constituents. Only for the constituents to turn around and kill other people instead of asking the obas an chiefs for their own share. Omase O! While I don’t support the death of anyone and this sad incident, did you read that the villagers were having a peaceful protest and the police force came around and killed two people? why couldnt the police force or the people in charge have a peaceful meeting with the villagers instead or trying to prove their power? They saw the villagers as people with no right and unfortunately it was the ova of them that received the sad outcome. “…They are still barbaric in Nigeria…”? This does not only happen in Nigeria!!! The so-called Western civilized countries that you are comparing Nigeria with, act just as violent and indifferent to land dwellers also. As long as you have a Democratically elected government that runs the country you live in, that government can claim the land you reside on or claim you own, at any time for the betterment of the general public. And you thought Democracy was only about the “good” stuff, ba? In America they call it the “law of public domain…” and it does not matter how long you have lived there, or if your ancestors landed there, when its time for the government to take it, they will take it by force, or by crook, or by(sometimes) giving you a few kobos that ends up meaning nothing. So thank yours stars you are not claiming any piece of land that you are ready to die for….so they are barbaric in Nigeria, only because “they are also barbaric in America, England, China, and the rest of the civilized world. Because out of Democracy comes the civilized, the “barbaric”, and the ugly. You gotta take the whole thing, bra. You just gotta!!! The Baale has been arrested. No matter how much is paid to these village chiefs, their extortion will always continue. There was NO “peaceful” protest. The Baale and his touts saw the LFZ officials arrive and accosted them to ask for “more” compensation (apparently what had already been paid by the LASG has been ‘owambe-ed’ away), and in the process the Agberos took over. NO villagers (no any other person apart from Mr. Disu) was killed. What a loss? May his soul rest in peace. No one should die for reasons that could have been avoided. Nigerian force this is not why you where sent there. Exactly my thought. Why cantbthey go somewhere else…. using money to acquire what doesn’t belong to you…. Wasn’t the project to be sited in Ogun State before your ex-governor “bribed” them to come to Lekki? Anyway, I hope you know that all of the communities affected by the Lekki Free Zone project has been compensated. Unfortunately, in Nigeria, these sorts of extortionary tactics by self-styled “youths” will never go away – go ask the GSM companies about their cell sites. how sad for his family. he was trying to do his job but u can’t take land from people without a great settlement/monetary exchange. and even at that, many people would rather die than give up their lands. @nene, the way the Land Use Act works is that you have to pay the government for the lease of the land based on the “economic (or crop) enumeration” of the land. This payment has to be made UPFRONT for the C of O, and it is thereafter the responsibility of the state govt to then compensate the affected community. Hope his killers and the mobile police men are brought to justice. Police violence in Nigeria is one problem we’ve been overlooking because of Boko Haram and amebo over America’s issues, but our own police often resort first to violence. All these deaths would have been unnecessary if the police had simply kept the peace, hope the Nigerian army reports are false though, Lekki isn’t Sambisa to paraphrase the Jagaban. As I recently found out, noone in naija owns land.,It is all a lease agreement for 99 years (if I remember correctly). That said things like this can and will continue to happen. As with any lease, it can be terminated for many reasons. I personally think that the Land Use Act should be repealed, and folks should be allowed to return to killing themselves over land. As it is now, you pay the government for the lease of the land and still pay the chief (Baale/Oba/Obi/whatever) as well as sundry self-styled “youths” (and in their case, often several times over). Can the villagers show proof ownership of the above mentioned property. Ehyaaaa Bella Adenuga’s Father in Law. Jameel’s dad. So sad!! Judges and jurists. There are 2 sides to every story. God knows best. May he rest in peace. RIP to all the departed souls. Reportedly, the policemen attached to this man killed 2 of the peaceful protesters first and that resulted into fracas. The only person killed was Mr. Disu. NO vilagers were killed. correct fact bellanaija. MR DISU WAS THE ONLY ONE KIILLED AND THIS IS AFTER HE TOLD THE POLICE OFFICERS TO SHOOT INTO THE AIR FOR THE VILLAGERS TO DISPATCH , HE WAS TARGETED AND SHOT FEW MINUTES AFTER HE GAVE THIS ORDER BY AN UNKNOWN VILLAGER. SRs and rumour-mongering again. No “2 villagers” or any one else was killed – apart from Mr. Disu! How are you sure this man wasn’t purposely targeted and killed while using the protest as cover? Oh well, may his soul rest in peace. So the governor can come kick u out of your house. After all he owns the land. I am no land expert but I know there is a land law that automatically allocates a land to you if u have lived on it for a long time without contest. Lekki was not in Government’s radar. People have settled there for decades while Dangote lived in Ikoyi. Now it is hot cake, they want it too as big men. This government is damn too elitist.